I was talking with an entrepreneur who was lamenting that raising capital was “taking too long”. In fact this entrepreneur had pursued several different strategies, each for some months at a time, then jumped to another strategy. And, as you can imagine, none of them brought the hoped for success. As I heard the frustration they felt, the frustrating need for capital that many entrepreneurs feel, I started to think about how long it “should take” to raise capital. In short, my advice to entrepreneurs is “Plan for 12 months, hope for 6”. But why is that? It turns out that most forms of raising capital in fact take 6-12 months, sometimes even longer. And underestimating how long it takes, and how much work it is, often creates disaster for entrepreneurs. Let’s review. In my recent posts on crowdfunding for equity or crowdfunding for stuff, it’s clear that crowdfunding for stuff takes at least 12 months to get the needed list of 5000+ people who are interested in your consumer product or rewards. And, as I mentioned, the amount is relatively modest, a six figure raise of $100k or more would be at the high end of crowdfunding for stuff in most cases. If you are crowdfunding for equity you should expect it to take about as long as raising angel/VC rounds. Why? As I described, equity crowdfunding is really just a variant on a traditional angel investment round, with the addition of online marketing via specified platforms AND it includes the preparation of deal docs like an angel or VC round (at least 3 months, see below). So it will take about as long as a traditional equity funding round – yep, probably a year! 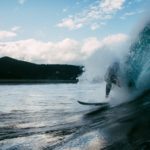 Raising Capital for your Startup? Remember, plan for 12 months, hope for 6! I frequently tell entrepreneurs that if they are raising equity funding, assume that DOING THE DEAL DOCS ALONE, that is, just the legal documents, will take at least 3 months. Entrepreneurs don’t believe me, so here’s the most recent example. 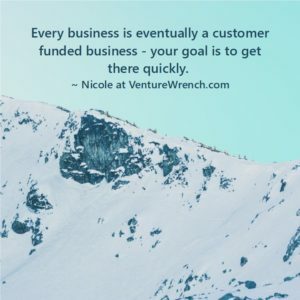 Talking to an entrepreneur who just closed a 7 figure seed round (with a “designer investor”), I learned it took 18 months from idea to completed funding. It took 8 months to build out a (very basic) Minimum Viable Product (MVP), 6 months to get to investor commitment and 4 more months to get the legal documents signed, sealed and the money delivered. Phew! Now that could probably have been compressed a little if they had been working on preparation for the round in parallel with the MVP and if they had pursued ONLY Designer Investors, but you get the point. If you count from end of MVP to funding it took 10 months. The silly stories of “how I closed my silicon valley round of funding in just TWO WEEKS” are just marketing hype, and leave out the 9-12 months of preparation work (i.e. pre-selling) before “launching” the round. What about other forms of capital such as loans? The preparation to get a business loan requires a detailed business plan, years of business history, proof of either cash floor or suitable assets to secure the loan, not to mention plenty of meetings with bankers. Bottom line? Plan for 12 months, hope for 6 months again! What about federal or state grant/research programs such as the SBIR and STTR programs? It takes several months to write a proposal for an SBIR/STTR solicitation (and we’ve written, and been awarded, quite a few, so we speak from experience!) Different agencies put out solicitations at different times of the year and in some cases you may have to wait for a “once per year” solicitation from agencies such as the Department of Energy. Even the big agencies, such as NIH and NSF, which post frequent solicitations, only have active solicitations 2-3 times per year. Once you have a solicitation topic in hand, the estimated time frame for creating just a Phase I proposal is 40-200 hours. Once you’ve written one proposal, and plan on 200 hours of work for that, you can get a second proposal to the same agency down to “perhaps” 80 hours of hard writing/research, but I wouldn’t ever plan on 40 hours! And THEN, despite the fact that the agencies are “supposed” to make final decisions within 3 months of closing, it is usually taking 6 months for a decision. So, bottom line on time to bring in that capital? Yep, plan for (at least) 12 months! The lesson here? If you run up to a crisis and find yourself saying something like “I have 3 months until disaster strikes if we don’t bring in new capital”, you have waited too long! Save your sanity, save your company, make sure you give yourself 12 months to bring new capital into your business (or bring in the first capital!). Some additional tips when considering capital needs for your business. First, this is my personal, hard won, advice. When you raise money, target two years of cash on hand and even as you work down your capital, never go below one year! Now, here’s the truth. That is hard to do and investors will likely hate this, but I recommend that you do it anyway, or at least have it as your goal. If you do raise from investors, target “enough VC money” around the table for the “entire cycle” and make sure that you get multiple VCs to “syndicate”, or take parts of, your deal. Get our FREE report of 4 things NOT to do If you Want to Succeed!